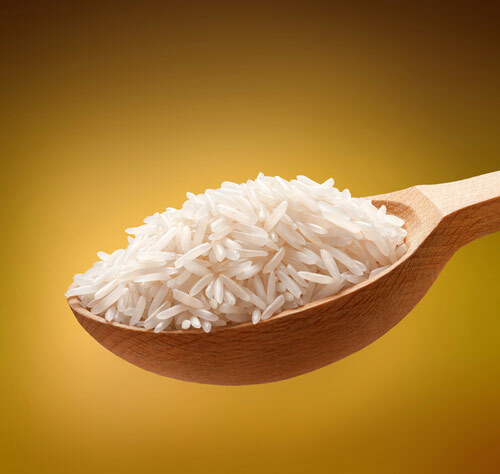 Fun Fact Fridays Baby Rice Contains Dangerous Levels of Arsenic! Arsenic can be found in all types of rice based products, so don’t think your toddler’s safe eating rice cakes either! The term organic has no relation to pesticides, or how it is “grown”, it relates to the metals and elements to which it is bound. Organic arsenic contains carbon, i.e. organic = carbon based. Organic arsenic cannot be eliminated from food, and that’s okay, because organic arsenic is far less toxic than inorganic arsenic. Inorganic arsenic is far more dangerous to children, and babies especially, because they have a higher food consumption rate by body weight than adults. In other words, if they weighed the same as an adult they’d eat a hell of a lot more food, and in turn ingest higher levels of arsenic and other potential contaminants. Until recently (EU law as of January this year, 2016) the levels of arsenic in food were unregulated and as a consequence, articles like this one from the Daily Mail and this one from the NHS, show the levels of arsenic in baby rice and other rice products were grossly above the recommended levels and some were considered dangerously high. Manufacturers were caught with their tails between their legs – manufacturers that many would assume had our babies’ health at the top of their lists when it came to making baby food products and not the pockets of their shareholders. Unfortunately that is not the world we live in, and due diligence should be something we all practice. How did arsenic get into rice? Rice is one of the cereal crops that takes up arsenic in much higher quantities and that type of arsenic also tends to be predominately the more toxic inorganic form (See the Food Standards Agency for more info). It is used in industrial processing of glass, pigments, textiles, paper, metal adhesives, wood preservatives and ammunition. It is also used in the hide tanning process and, to a limited extent, in pesticides, feed additives and pharmaceuticals. Where industry is well regulated and arsenic does not enter the water table, it is not a problem. It was also used, in large quantities, in pesticides during the height of growing tobacco. This becomes a concern where, in some areas, rice has now replaced tobacco as the predominant crop. It’s also worthy of note that arsenic levels in food were not regulated until recently and therefore there was no reason, for the manufacturers at least, to test the levels. Brown rice has more arsenic than white rice! Unprocessed rice contains three elements, the stiff outer layer called the husk, the middle layer called the bran and at the centre, the white seed. White rice is simply the white seed, with no husk or bran. Brown rice contains some or all of the bran and no husk. Inorganic arsenic tends to be found in higher quantities within the bran and therefore brown rice. Even now… If it’s rice-based and doesn’t say “for babies or children”, arsenic levels could be 300% higher! With the rise of gluten-free products gaining popularity as a perceived healthy alternative, rice flour is becoming a popular alternative to wheat flour in many products. As a consequence of the perceived health benefits, unsuspecting adults may feed these items to their children that were not intended for them. The new regulations have a 3x or 300% greater allowance for foods that are not “destined for the production of food for infants and young children”. This is an EU Law and… BREXIT! One thing that should concern us, well those of us in the UK, is Brexit. These new regulations are regulated under EU Law, from which the UK is withdrawing. How long will it be until we revert / stop enforcing / change / delete this law and follow the lead of the United States where there is no regulation on arsenic levels in rice products? We should keep an eye very closely focussed upon this tiny, almost insignificant regulation (to those in power), that may or may not be left in the wake of leaving the EU, that could seriously affect the very things we treasure the most, our children. 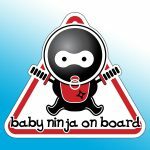 If you’re still not convinced that baby rice could be a less than adequate food for your babies, check out 9 good reasons NOT to use baby rice and remember DO NOT introduce ANY solids before 6 months old because it could cause damage that may not show up until adulthood (check out week 26 for more info). 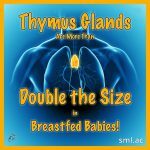 Thymus Glands Are More Than Double the Size in Breastfed Babies! 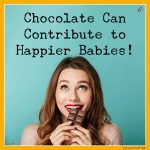 Chocolate Can Contribute to Happier Babies! 1 Woman had 69 Children! 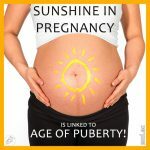 Sunshine in Pregnancy Is Linked to Age of Puberty! 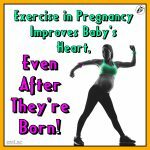 Exercise in Pregnancy Improves Baby’s Heart, Even After They’re Born!